Explore Canada’s most exciting cities on this short, action packed adventure. You’ll tour the colourful and quirky neighbourhoods of Toronto, before traveling by train to historic French-Canadian Montreal. 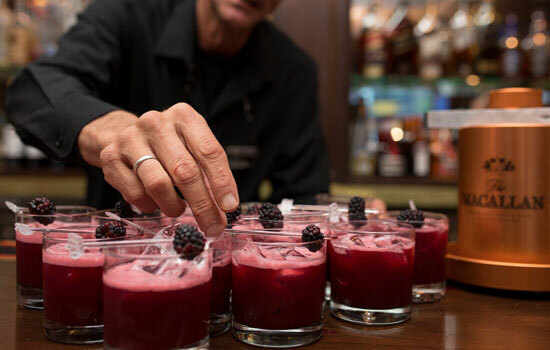 Gastronomic adventures, brewpubs, urban art, and bike tours fill up this unique experience. Read about the trains you will be travelling on during this trip, learn about onboard services and see inside the trains. 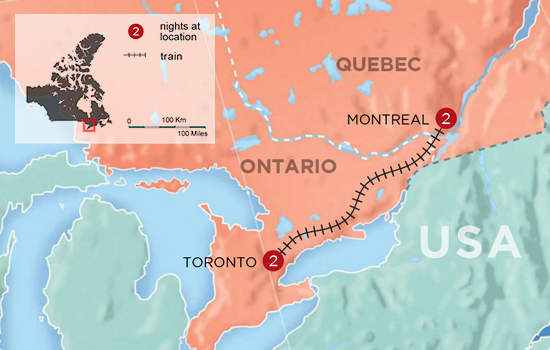 VIA Rail trains take passengers across the vast country of Canada through some of the most amazing scenery in North America. 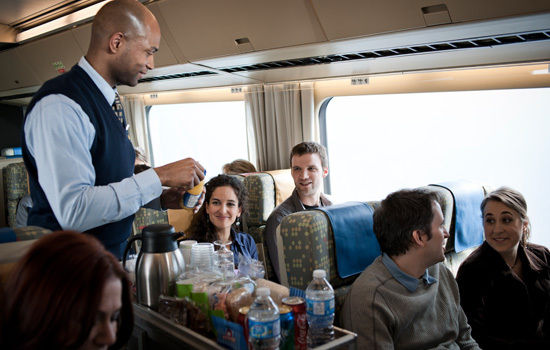 The service includes sleeper cars, gourmet meals, and lounge and viewing areas. Le Germain Hotel Toronto is at the heart of the entertainment district and within minutes of the CN Tower, theatres and trendy restaurants. Classic 19th-century architecture make up Auberge du Vieux-Port's luxury boutique hotel. 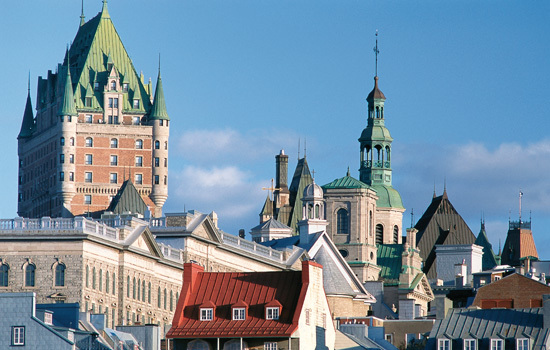 Enjoy the view of the Rue de La Commune, the St. Lawrence River and the Old Port. Explore the cobblestone streets surrounding the hotel, providing charm for over 300 years. Ideally located seconds from top restaurants, boutiques, galleries and attractions. Welcome to Toronto! Enjoy a private transfer service from the airport directly to your hotel. The funky and colorful neighborhoods of Toronto are waiting to be explored. 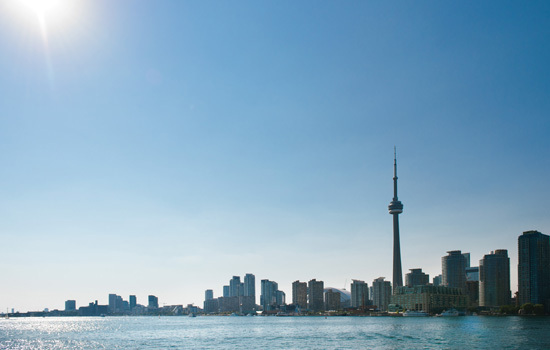 Discover what lies behind Toronto’s famous skyline. 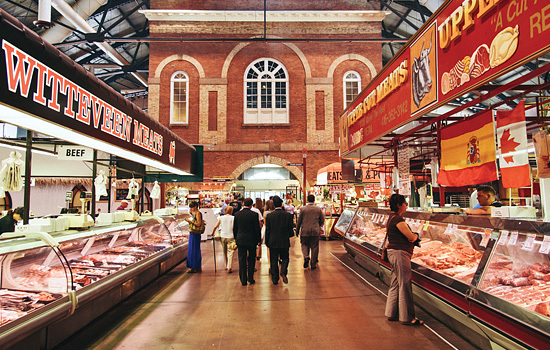 From a visit to the bustling St. Lawrence Market to the many vibrant neighborhoods of the city there is no shortage of things to see! 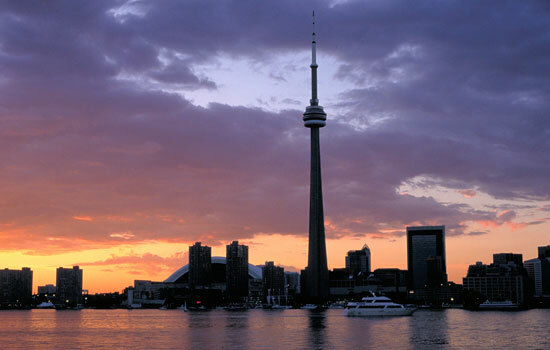 We want to make sure you eat at the best spot in Toronto – and what better location than the CN tower? Marvel at the spectacular views as you eat world class cuisine. 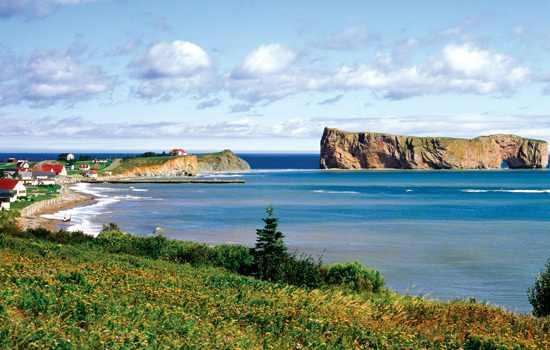 Relax, because you’re travelling the Fresh Tracks Canada way – we have the inside scoop to ensure your vacation is off to a great start! A short ferry ride across the harbor and you reach the beautiful Toronto Islands. By evening, the daytime crowds have retreated to the city, meaning you experience what few others do, the beauty of the islands after dusk! For those who are curious, Toronto has a variety of culinary adventures to pick from. Try an Old Chinatown Food Tour or, venture to the Corktown, Canary and Distillery District, a neighborhood that began in the 19th century as home to Irish immigrants. Learn about the industrial Victorian architecture that surrounds you and hear tales of inhabitants past – and of course sample delicious food along the way. 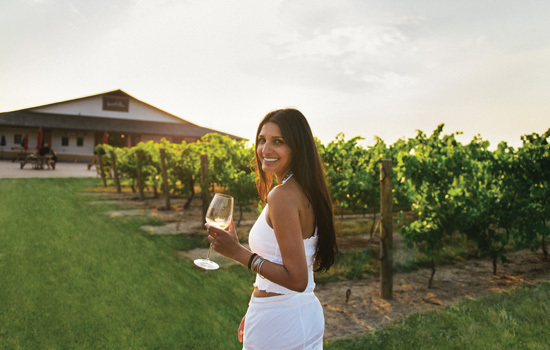 Travel the lush Niagara Peninsula on this delightful wine tour. You will visit two renowned Niagara wineries and enjoy a wine tasting as well as a tour of each winery. This tour also includes lunch at a charming eatery on the Niagara Parkway. As the train glides out of Toronto, you will notice more and more French words floating in the background. Journey towards the open farmland of eastern Quebec, chat with old friends and new, or dip into a book. This is what train travel in Canada is all about! Transfers to and from the train station are included today. Arriving in bilingual Montreal, discover the cobbled streets of the Old Town, the shopping, and the entertainers outside sidewalk cafes. Staying in such a food centric city, we wanted to give you a chance to sample some of the best cuisine. We’ve selected one of our favorite restaurants for you in Montreal. With a menu created with a certain ‘French flair’, enjoy a showcase of the finest, freshest, regional products. 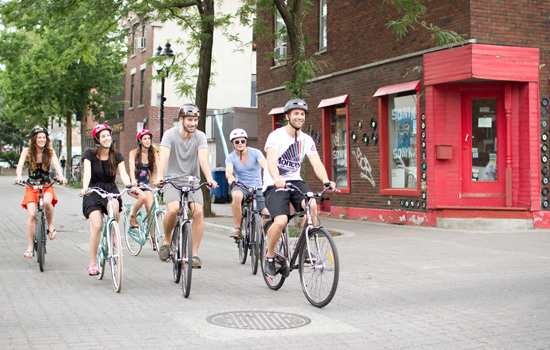 Enjoy a casual afternoon atop a comfortable Dutch-style bike exploring the side-streets, laneways and parks of a beautiful and bike-friendly Montreal neighborhood. Your tour sticks mostly to bike paths and provides interesting anecdotes about the unique history and urban culture of Montreal. 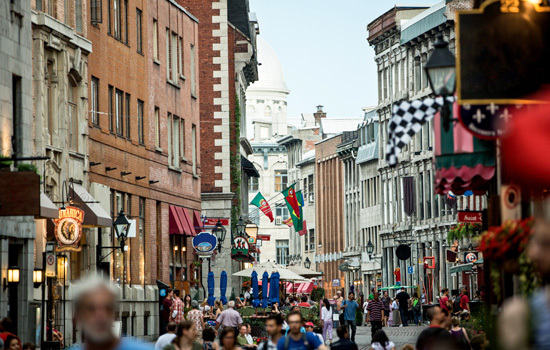 Enjoy a semi-private walking tour of Old Montreal. 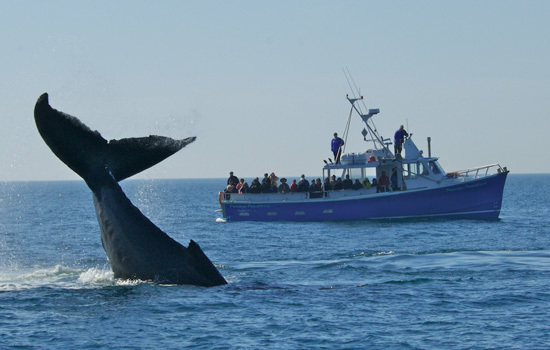 With small group sizes, your guide will be able to personalize the tour to your interests. Visit Notre-Dame Basilica, the historical boroughs of Place d’Armes, Place Jacques-Cartier, Saint Paul Streets and Place Royale. This tour will allow you to taste your way through Old Montréal and discover four specialty shops and boutiques in the area that are housed in old factories and showrooms from the 19th century. 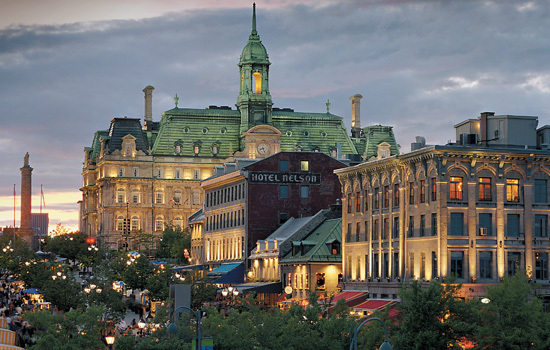 As you follow the narrow and winding streets of Old Montréal, your professional tour guide will feed your hunger for knowledge on the history of Montreal and its many culinary pleasures during the tour. 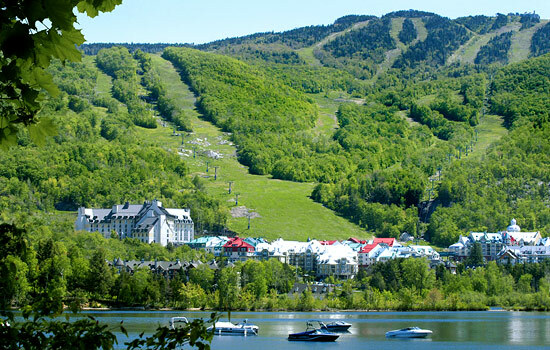 Say farewell to Canada's scenery, history, and culture, as you transfer from your Montreal hotel to the airport in time for your flight home. 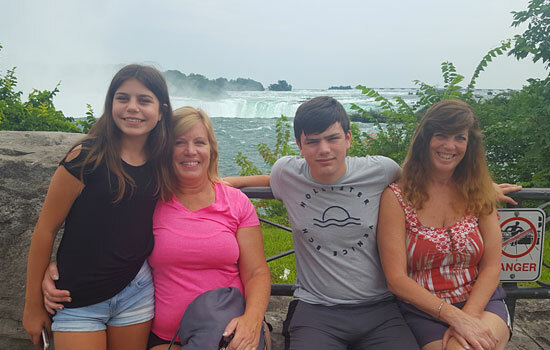 • Fresh Tracks Canada customer service support – from the time you book, you will be assigned your own personal Vacation Coordinator with whom you can reach out to with any questions or requests. • Toronto Food Tour varies by day of the week. • Toronto Island Bike Tour operates from April to mid-October 2019. 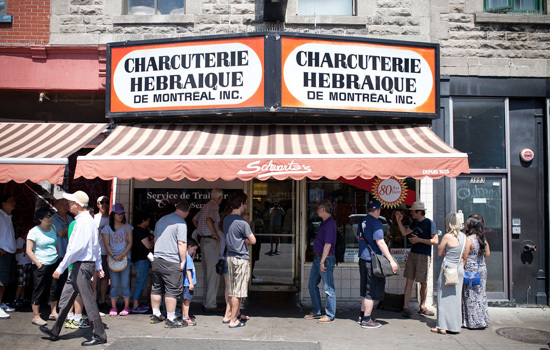 • Montreal Walking Food Tour available Tuesdays to Saturdays end of June to end of August, and Thursdays, Fridays, Saturdays only May, June and Sept to mid Oct 2019. • The Old Montreal Walking Tour is available from May to October 2019. During the month of May the tour is only available on Friday, Saturday and Sunday. * Please note that limited availability and surcharges will apply during the Montreal Grand Prix in June. Our Boutique Level provides amazing value for clients wanting something more upscale but not at the price of a top-end 5 star resort. Boutique Level hotels are some of our favorites because of the character and unique charm that you won't find at the average chain hotel. Private drivers and unique tours complete your itinerary.